There’s never been a more exciting time to be entering the workforce as a techie. Whether you’re into software engineering, web development or the data analysis field, if you know something about the technical world, your prospects of building a long-lasting career are higher than ever. The prevailing employment trends in the US are predominantly reflective of the current global environment, and so a recent study by Indeed looked at the top entry-level jobs in the US for 2018. Part of the report included a “popularity index” score, which illustrates the popularity of a particular job amongst entry-level job-seekers. The results spoke volumes. Engineering and tech jobs are evidently amongst the most sought-after jobs in the US, followed closely by jobs in a few rather surprising industries. Let’s take a closer look at the findings. Among the top 15 most wanted entry-level jobs in 2018, we’ve chosen to hone in on two of the most pertinent in terms of technical skill. In summarising the role of a software engineer, Try Engineering provides this description: “Computer software engineers apply the principles and techniques of computer science, engineering, and mathematical analysis to the design, development, testing, and evaluation of the software and the systems that enable computers to perform their many applications.” The average salary of a Junior Software Engineer is $56 116 according to Indeed. According to ZipRecruiter, this average is a bit higher, coming in at between $30,000 to $90,500 nationally, making the national average $63 606. Interestingly, a 2018 report by Linkedin demonstrated once again that engineering and tech are at the top of the charts when it comes to the entry-level playing field. Check out this list of the most in-demand skills needed by companies in 2018. 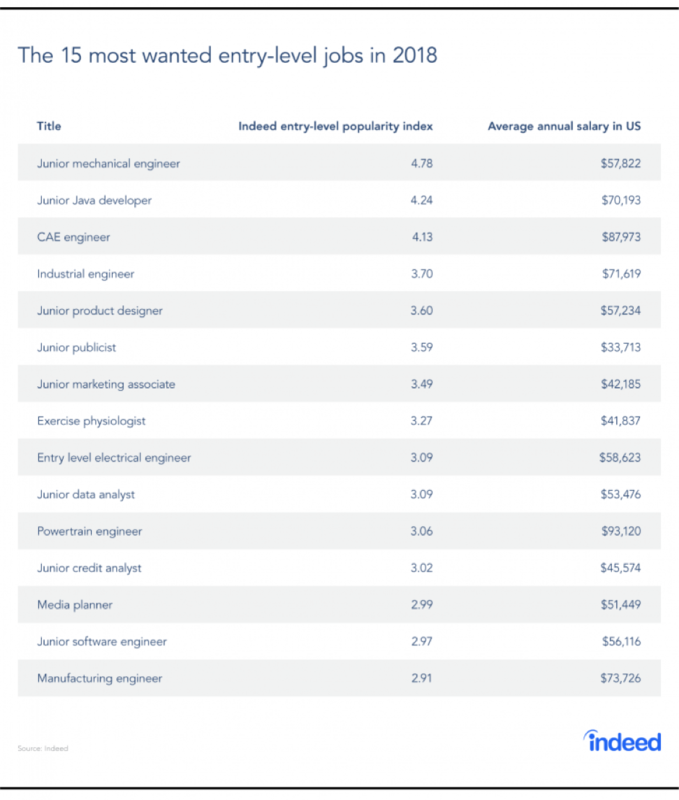 Not only are engineering and tech jobs amongst the most popular, they are also significantly lucrative. 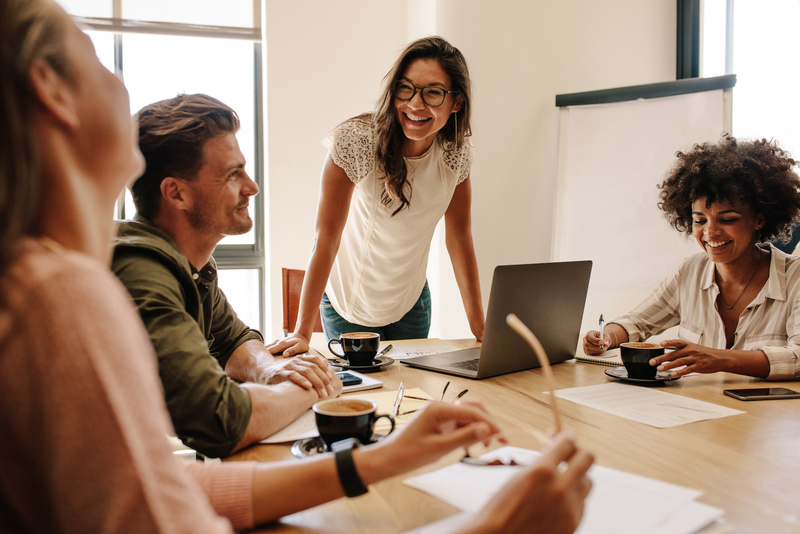 Companies need skills – skills to differentiate them in a market that is made up of a few huge players and millions of smaller players all vying for a position amongst the greats. The encouraging thought for entry-level job-seekers is that while in previous years it would take years to develop the skill-set to thrive as a developer, these days, it’s not necessarily the case. As the Zuckerbergs of the world continue to demonstrate, a dedicated investment into honing your skill through practice, self-empowerment and a smart, proactive approach to education is what it takes to make it big in an industry that’s waiting to embrace raw talent and sheer determination. Thinking of starting a career in tech? We can help. Try one of our bootcamps – we’ll give you the fuel you need to get your coding career off the ground. Why is it so hard to find full stack web developers?